Hi just wanted to post some World War II family photos because I feel like it. I wanted to show this picture to you all. The tall guy on the left is my grampa, the other two guys are family relatives. They're in some sort of training camp preparing to go to France. As you can see the tent in the background. I wanted to show it because of posterity and because it's a great memory that should be relished by history buffs, WWII enthusiasts, and old war gamers alike. May it live on in all of us. Do you know what unit he was in? Nah I forgot to ask my gramps that before he passed away. Although my dad told me he was a lieutenant and a medic (he was a civilian doctor before he was drafted). I can also prove he and my relatives went to Europe because he found a Luger pistol on some battlefield while picking up the dead bodies and my uncle currently is in possession of it. You can obtain your grandfather's records by contacting the U.S. Army Human Resources Command. It took me up to five months to obtain mine. I'll do that. I'll also try to figure out who those other 2 family members are in the picture. I don't mean to steal your post shooter but here is a pic of my Dad who served with the 4th Canadian Armoured Division, 29th Reconnaissance Regiment (The South Alberta Regiment) from enlisting in 1940 to coming home in 1946. Still alive to this day at 92yrs young! 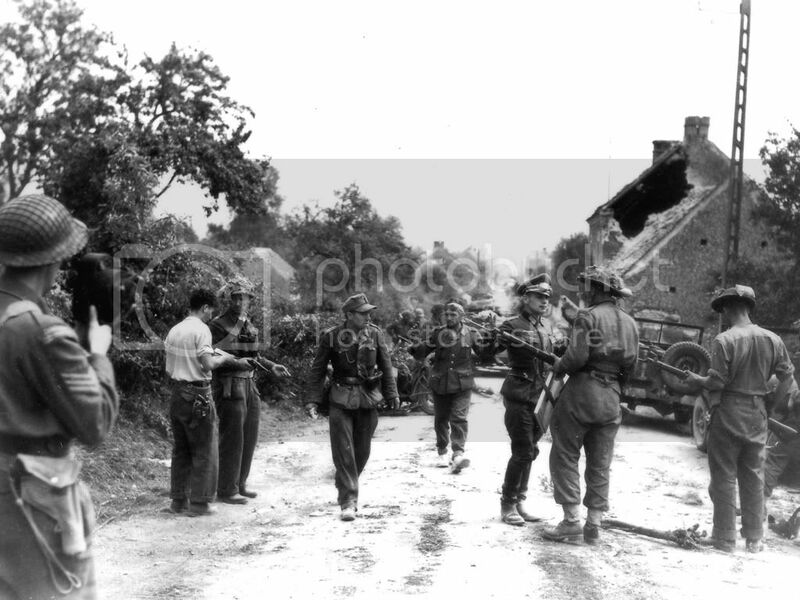 David Currie's Victoria Cross picture in Saint Lambert Sur Dives 1944. Well that's cool and all but I really didn't expect a picture pwning. The only 2 pictures I have left are them running and a minimized version of the one you just saw. Nothing interesting but it would appear my pictures are more fuzzier then yours.